Using browser extensions is a lot like tricking out your car with a new air spoiler, tinted windows, chrome rims, and big flame decals. Too much junk, and you bog down your ride and look silly. With thousands of Firefox extensions to choose from, the main challenge is finding the right ones--and avoiding the lame ones. I've rounded up ten of the most useful Firefox add-ons, all of which strike the right balance by increasing performance and saving time. I'll let you worry about whether you should add racing stripes to your Toyota Camry. Do you often find things while you're browsing and wish that you could post a sticky note to a website for later reference? 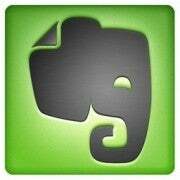 The popular web app Evernote has a Firefox extension that makes it easy to create notes for yourself from any part of any web page that you have highlighted. Notes can include text, photos, and even video that will sync to your phone while you're away from your computer. 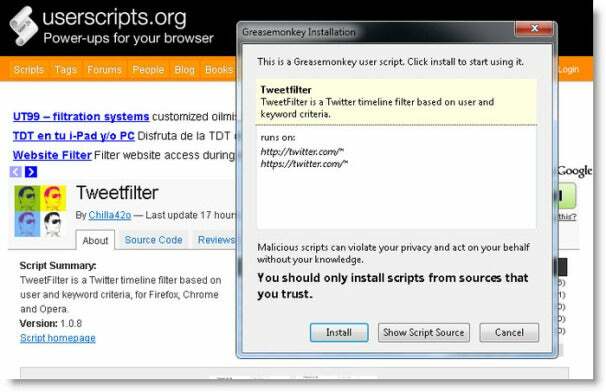 The Greasemonkey Firefox extension lets you create scripts to do almost anything, from customizing search queries on your browser to embedding music-control buttons into your toolbar to adding Gmail notifications to tabs. Once you've downloaded the extension, you can find tons of great user scripts at sites such as userscripts.org that let you customize websites. A great starter script, Gmail FullScreen, lets you use Google's webmail in full screen instead of in a window. If you find yourself switching between your iPhone, your laptop, and your Android tablet on a regular basis, Xmarks just may be the extension for you. 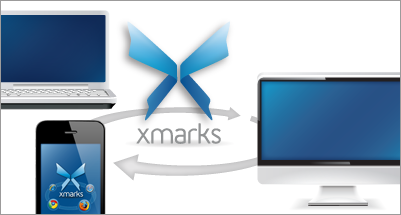 The Xmarks service will sync your bookmarks--and even your passwords--between your desktop, your cell phone, and your tablet, along with any other devices you may have. 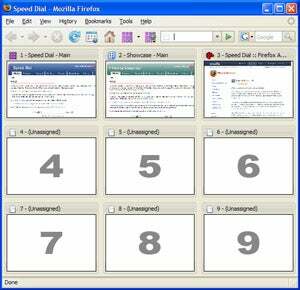 Xmarks will sync your information between browsers, too. Does your daily surfing routine involve visiting the same five sites every morning? If you have a regular set of favorite bookmarks, you can open them in a flash with Speed Dial. According to the developers, this extension "loads in a tab, and will show thumbnail views of its assigned websites. Those thumbnails will be refreshed automatically in the background." If you're about to hop on a plane or enter an Internet dead zone, the Firefox extension Read It Later lets you save long articles and web pages with one click. Even when an Internet connection is nowhere to be found, you can catch up with your favorite sites. Streaming video can't work without an active Internet connection--no Net equals no Flash video, so sites such as YouTube are off-limits. 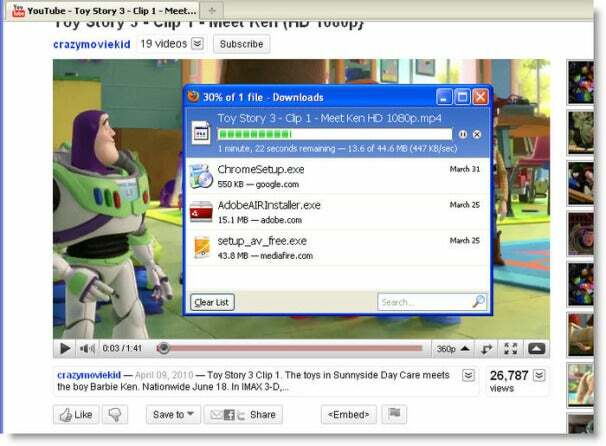 Easy YouTube Video Downloader to the rescue: This extension allows you to download Flash movies from YouTube and other sites for later viewing with or without your connection. In addition to all the free clips, you can find free versions of full movies such as Ghostbusters on YouTube. If you ever need to take a screenshot of a website, Awesome Screenshot could make your life easier. Once you've installed the extension, you just click the camera icon, and Awesome Screenshot takes a snap of the whole page, even the parts that you can't currently see. You can then annotate the picture with lines, text, and more, and even blur out sensitive information before saving or uploading the image. All kinds of hidden tracking systems--tags, hidden pixels, beacons, and more--follow you around the Web. 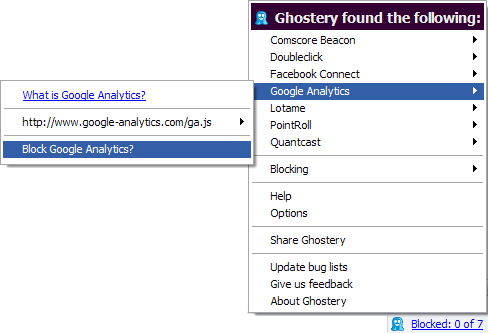 Ghostery makes the invisible parts of the Web visible. For example, when I used the service and visited CNN.com, a list of seven different companies invisibly tracking my session popped up on my screen. Ghostery can help you identify and avoid almost all of them by blocking the images and scripts they use to keep tabs on you. Java and Flash are great technologies for developers to build dynamic websites full of animation. The dark side of Java and Flash is that web advertisers and online attackers also find them effective tools for running trackers and malicious scripts in your browser. 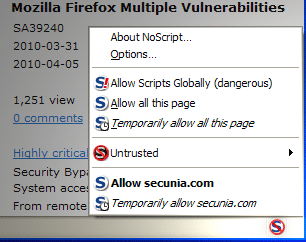 NoScript blocks Flash and Java except on trusted websites that you specify, keeping your computer safe from snooping scripts. The single most popular Firefox extension is Adblock Plus. It's easy to see why: This add-on blocks annoying ads that pop up, crawl, and spawn in your Firefox browser. 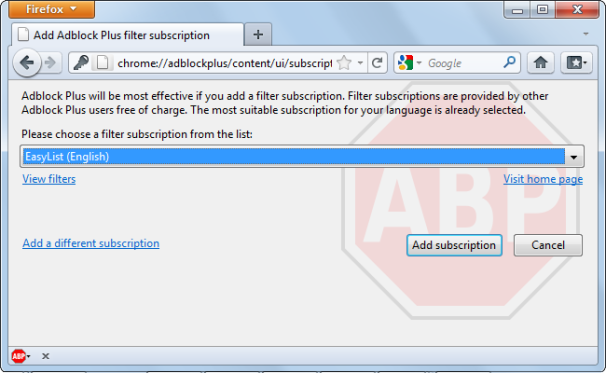 Adblock Plus is easy to configure and simple to use. Of course, it may also hurt sites like this one, so use this powerful tool wisely--please.